Where do tweets come from? 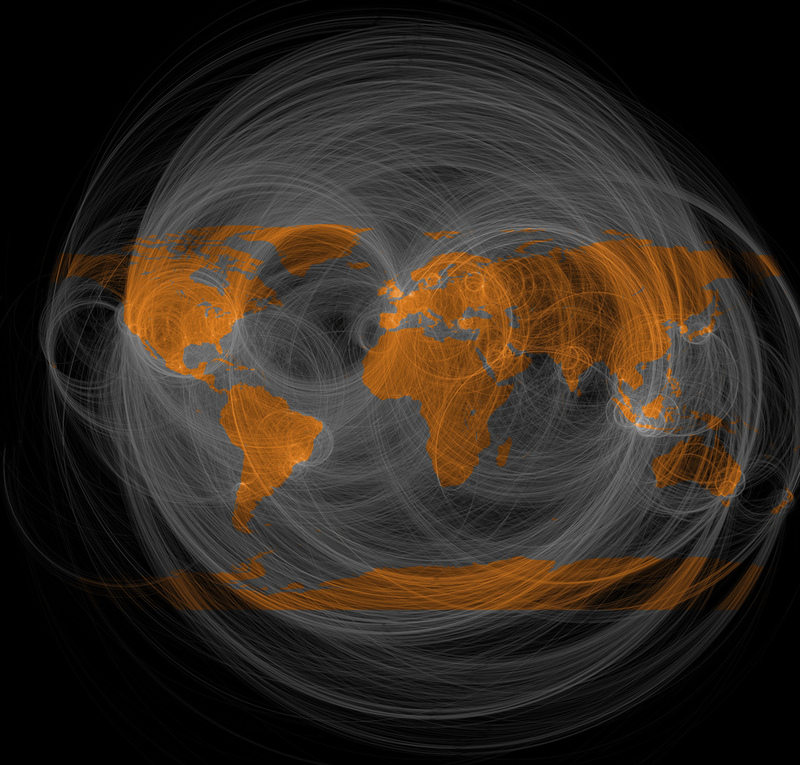 Geography of Twitter @replies by Eric Fisher, reproduced under a Creative Commons Attribution 2.0 Generic license. In our Twitter search tool, we provide the location of tweets via the latitude and longitude data Twitter offers. If you want to know about where the user was who created a particular tweet, it’s unfortunate then that most Twitter users (including me) don’t enable this feature. What you usually find are rare sightings of latitude and longitude amongst mostly empty columns. However, you can often get a good idea of a user’s location either from what they enter as location in their profile or from their time zone. We already get this information when you use the Twitter Friends tool, but not when searching for tweets. Now we’ve added it to our Twitter search too, so you can get an idea of where individual tweets were sent from. Create a new Twitter search dataset and you should see this extra data too! 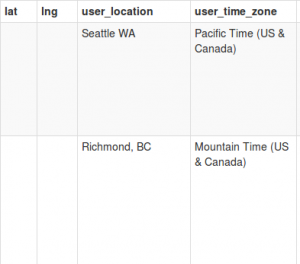 ← What’s Twitter time zone data good for?